A good credit score is your financial reputation. And the Grow Visa® Preferred Secured Credit Card can help you get a good one. Not a prepaid card, it’s a real credit card with real benefits secured by the funds in your savings account. As you use the card, and keep making payments without late penalties, you may qualify for a traditional, unsecured credit card. And you’re on your way. 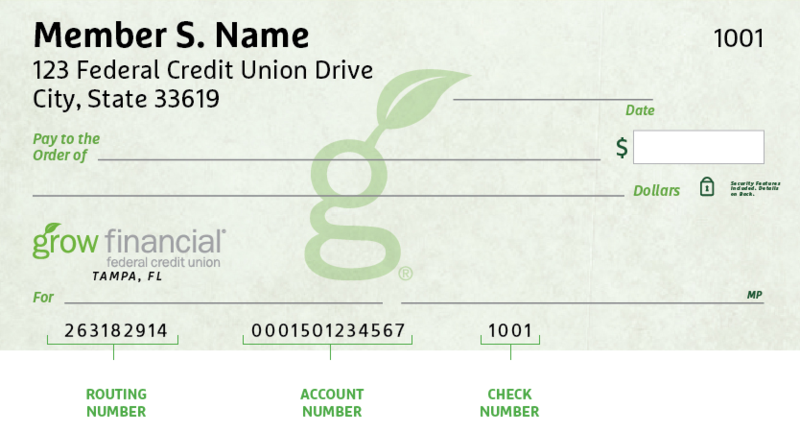 Your Grow Visa Preferred Secured Credit Card comes with a variable APR similar to those charged by other banks and credit unions on secured credit cards. Depending on your credit worthiness, your introductory APR will range between 1.99% and 11.99%1 for the first six billing cycles on purchases and balance transfers. After the introductory period, or if you don’t qualify for an introductory rate, your APR will range between 9.24% and 17.99%¹ for purchases and balance transfers. The rate you receive will be based on your credit worthiness. Use your Grow Visa Preferred Secured Credit Card with confidence anywhere you go. It’s accepted everywhere you see the Visa symbol. And with Visa Zero Fraud Liability Protection, you’re not responsible for unauthorized use. You can take control of your Grow Visa Preferred Secured Credit Card anywhere you are using our free online and mobile banking. Monitor your activity, make payments directly to your card, and more. We’ll post your quarterly credit score in your Grow Online Banking account every three months. That way, you can see the positive effects of your good financial habits. If you still have questions about the Grow Visa Preferred Secured Credit Card, we’re here to help. You can get help understanding your credit score, and how to improve it. Call us during regular business hours at 800.839.6328. 1Annual Percentage Rate (APR). Rate valid for purchases and balance transfers. Rates are variable and will vary with the market based on Prime Rate as published in the Wall Street Journal “Money Rates” table on the last day of each calendar month. The APR will not exceed 18.00%. If the minimum monthly payment is 60 days late twice in a twelve-month period, the rate will revert to a default rate of 18.00% for six (6) billing cycles. Other APRs: Cash Advances 18.00%, Overdraft to Share Account 18.00%. A foreign transaction fee of 1.00% will be charged on foreign transactions. Rates are effective as of 01/01/2019 and could change without notice. Subject to credit approval.